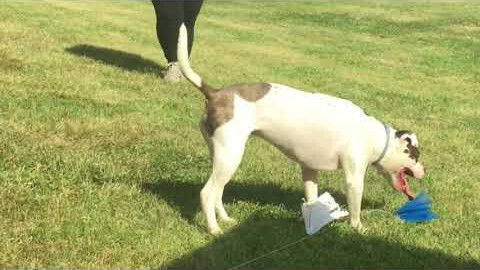 Dog Luring is an excellent activity for dogs who love to run! It utilizes an operator controlled continuous looped system of mechanized pulleys and “bait” that simulate the unpredictability of chasing live prey as they pursue an artificial lure around a predetermined course; tapping into their natural prey drive in a safe environment. Nearly all dogs love to chase. Whether it’s a flying disc, ball or squirrel, they feel a natural instinct to run after it. Dog luring is an exciting way to satisfy your dog’s desire to chase by using a mechanized lure in a safe, controlled environment. The lure simulates the zigzagging movements of prey and most dogs will love the thrill of the chase. It’s the fastest fun for four paws! We started Dog Luring in the spring of 2016 with the Swift Paws company providing the equipment and operator during our Pet Lovers Extravaganza. 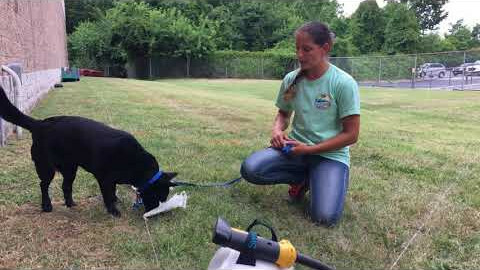 It was such a popular activity at the event that we purchased our own Dog Luring equipment that same summer. 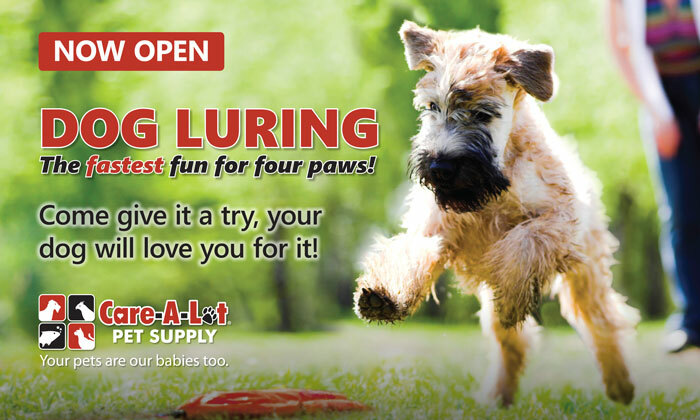 Once established, we began offering Dog Luring on a monthly basis at our Virginia Beach location. Year over year it has grown in popularity. Dog Luring is for all breeds and can be especially beneficial for those dogs with excessive energy; a tired dog is a good dog. 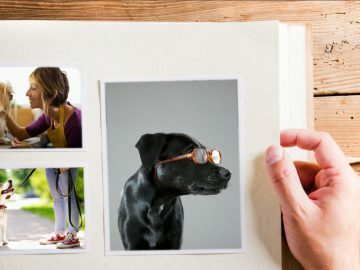 It is also great for those dogs that just want to have some fun. 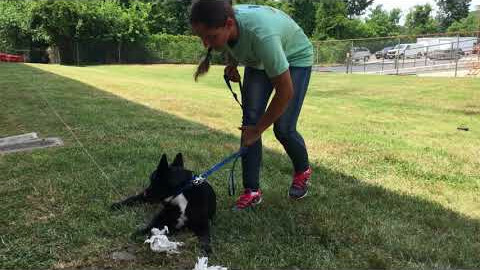 Dog luring classes form monthly and are typically held at our Corporate Location. Space is limited. Contact your local Care-A-Lot® Pet Supply store for more information.